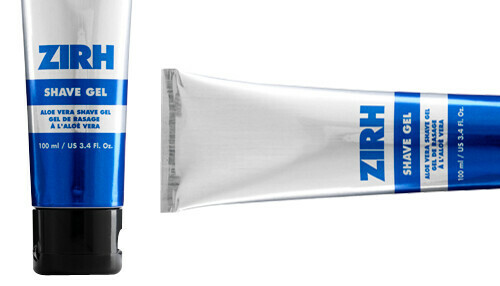 Today’s #GIVEAWAY is double the pleasure for summer legs (and other parts) -> 2x one of my favorite shave gels ever: Zirh. It’s a men’s line (see my previous review here) … so it’s your choice - give one to a dude, or one to your favorite gal, or keep them both and stay smooth well into 2013. A few great things about this gel - it’s clear, so you can see where you’re shaving (important ladies), it really clings to your skin in the shower, and it has a mild and unisex scent. You’ll win 2x Zirh Aloe Vera Shave Gels (3.3 oz) valued at $30.00 total. 2. Leave a DISQUS comment below [click through if you’re reading this in tumblr] and tell me, who will you give the second one too (no names) - or will you hoard it – I won’t judge! Don’t comment in “Ask Me Anything” OR in the “FAN NOTE” area of tumblr <— guys, click through please, leave a comment on the blog not inside tumblr! Contest ends next Friday June 29, 2012 at 11.59pm Eastern. If you subscribe or follow to enter, you must be subscribed or following at the time of the drawing. Multiple comments DO NOT increase your chances of winning but love ya. Winner is drawn at random.